The entire concept of precision agriculture comes down to knowing the specific details of a crop and the soil into which that crop will be planted, then making appropriate adjustments to ensure that everything is planted perfectly and maintained with precision throughout the season. The Precision Planting SmartFirmer is a tool that allows these things to happen. Think of this tool as the sort of thing that can check your work to make sure you’ve done and are doing everything correctly. After you’ve fine-tuned your planter, purchased the perfect seeds for your climate and soil, and put together a perfect starter program to ensure that your crop gets off to a great a start, you must give your furrows thorough checks so that all that preparation doesn’t go to waste. 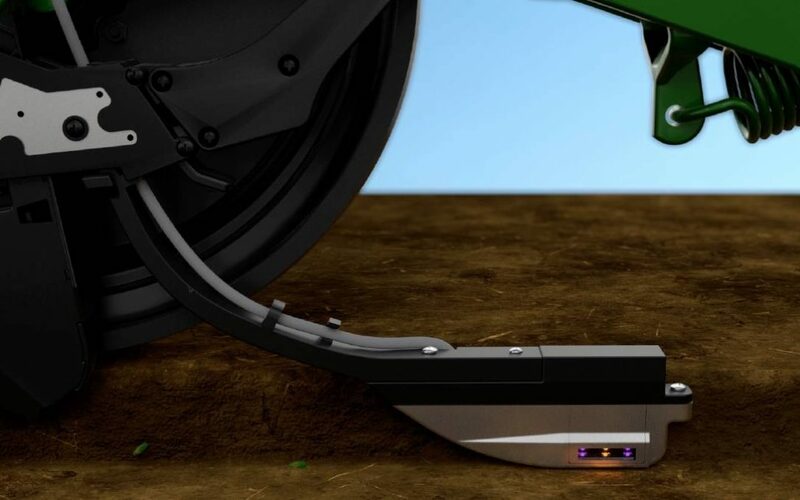 SmartFirmer will analyze the soil for many key factors to help you get a closer look at every single furrow to optimize where and how you plant your seeds. One of the most important factors in determining the quality of the soil is moisture, and SmartFirmer possesses the ability to give farmers a detailed assessment of soil moisture in a seed furrow. In going row by row to map a field, farmers can assess the correct planting depth for seeds as soil conditions change. The temperature of the soil is equally important, and SmartFirmer also can map the areas with temperatures most amenable for rapid seed germination. When soil temperatures drop below 50 degrees Fahrenheit, a seed’s ability to germinate decreases considerably. It is essential to know where the cool spots are in a field during the planting process. While consistent furrows are always best for a uniform crop, SmartFirmer can recognize any irregularities within those furrows, identifying problems like soil clods, pockets of air, or falling dry soil. Knowing where these irregularities reside allows farmers to provide for them and correct whatever issues may appear. Any in-furrow crop residue can prove detrimental to seed germination and growth. SmartFirmer identifies where that residue resides so row cleaners can make the appropriate adjustments. Residue can prevent seeds from getting the moisture they need and, even worse, occasionally transmit disease. Finding this residue can help farmers eliminate it. Lastly, SmartFirmer can build an organic matter map to help make sense of soil type, organic matter, topography, drainage, and several other field attributes. These maps provide data in high definition so that farmers can better plan for planting population, seed hybrid, and fertility applications. If you have any questions about SmartFirmer or would like to speak with someone at Bottom Line Solutions about how this tool can help improve your own crop this year, just give us a call or stop by anytime so we can show you this invaluable hardware in person. Precision farming is made possible by precision tools like this one. The Precision Planting SmartFirmer has proven invaluable for so many farmers all over the country, and it could prove equally valuable to you this planting season!